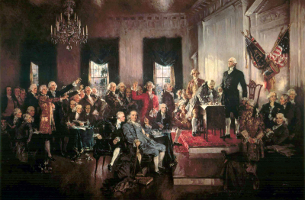 In this Essay I argue that originalism conflicts with the Supreme Court’s current jurisprudence defining the scope of Congress’ power to enforce the Fourteenth Amendment. 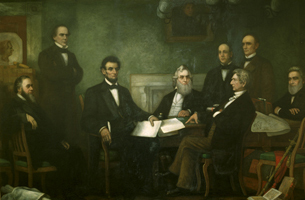 Under the standard established in Boerne v. Flores, the Court limits congressional power under Section 5 of the Fourteenth Amendment to statutory remedies premised on judicially defined interpretations of Fourteenth Amendment rights. A commitment to originalism as a method of judicial constitutional interpretation challenges the premise of judicial interpretive supremacy in Section 5 jurisprudence in two ways. First, as a matter of history, an originalist reading of Section 5 provides support for broad judicial deference to congressional constitutional interpretive authority. Second, even if one accepts originalism as the best way for courts to interpret the Constitution, this assumption does not necessarily apply to nonjudicial actors when they are fulfilling their own constitutional responsibilities—such as members of Congress acting to enforce the provisions of the Fourteenth Amendment. Placing judicial originalism into the foreground of our discussion of Section 5 jurisprudence thus offers additional support for a broader reading of the congressional enforcement power than exists today under Boerne. This is a response to William D. Araiza, Arming the Second Amendment—and Enforcing the Fourteenth, 74 Wash. & Lee L. Rev. 1801 (2017).